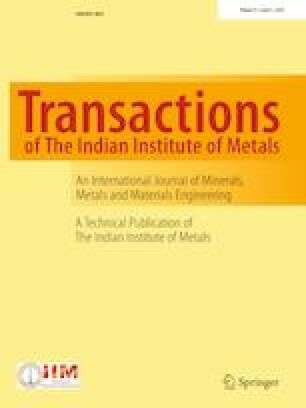 An attempt was made to produce graded stainless steel (SS)/commercially pure titanium (Ti) samples using spark plasma sintering. A cylindrical sample of 20 mm diameter and 38 mm height, consisting of six layers with decreasing amounts of Ti (in steps of ~ 20 vol.%) from layer L1 (100 vol.% Ti) to layer L6 (100 vol.% SS), was targeted. After process optimization, fully dense, graded SS/Ti samples were successfully produced. However, the samples showed several different intermetallics such as FeTi, NiTi, Fe2Ti, and Cr2Ti. The intermetallic formation was found to be most severe in layer L5 (80 vol.% SS + 20 vol.% Ti). These graded SS/Ti samples exhibited a tensile strength of 280 ± 9 MPa and were found to suffer brittle fractures in layer L5. In subsequent experiments, attempts were made to overcome this problem using temperature gradient sintering and/or ball-milled SS powder. While the combined use of temperature gradient sintering and ball-milled SS powder was helpful in improving the tensile strength of graded SS/Ti samples to 320 ± 12 MPa, undesirable intermetallic formation and brittle fractures in layer L5 could not be avoided.